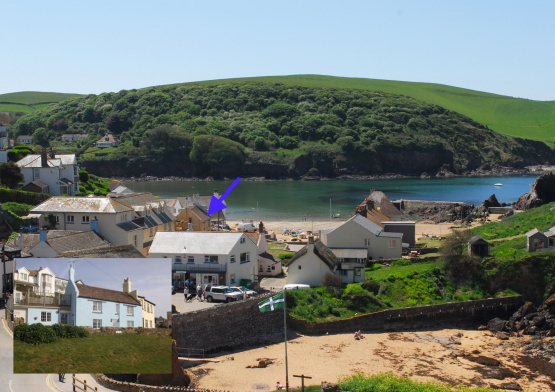 Located between Hope Cove’s two beaches, The Moorings is the ideal property for beach lovers. With a charming outlook and beachside position, The Moorings offers an abundance of period features with glorious water views. The property occupies an enviable position and has been arranged and refurbished in a reverse living style. The light and airy 4 bedroom accommodation features window seats, wooden floors and beamed ceilings making this an ideal family holiday home with the added benefit of an annexe with a separate kitchen and sitting room. The Moorings offers excellent outdoor entertaining space with first floor decking that has glorious sea views. The property also benefits from a summerhouse, a conservatory and precious off road parking. The Moorings is on the market at a guide price of £595,000 through Marchand Petit’s Salcombe office. Further details may be obtained by telephoning 01548 844473.